I love the idea of leaders and feeders. But you could argue it is common sense (if not common practice). Someone with the drive and ambition to launch a start up of any sort will always have more at stake and therefore be more emotionally and intellectually involved than some third party asked to manage it. When anyone starts an enterprise, their thoughts tend to be on how to grow it. When management takes over their thoughts tend to be on managing. I think it would be interesting to know that we are also working on http://www.StarterPad.com: Where Founders Help Founders! I haven’t read Brad’s Book, but interesting enough, we had an idea, a dream and we PRODUCED an event in San Diego on September 22, 2012 called http://www.SDEntrepreneurDay.com of which we invited all the vertical markets (NOT JUST TECH), colleges, mayor’s office, state senator’s office, SBA.GOV, San Diego County supervisor and city council etc., resulting with over 100 exhibitors from a variety of vertical markets, and over 500 volunteers, exhibitors, vendors, participants, etc. collaborated bringing in about 5,000 attendees for our inaugural one day event. We received the “triple crown” recognition by the Federal Government -SBA.Gov with a certificate, California State Senate, another certificate and the City of San Diego, Mayor’s office, proclaiming September 22, 2012 as “Entrepreneur Day”. Corporate sponsors included: Microsoft, Qualcomm, Herman Miller, Mike’s Hard Lemonade, Stone Brewing Co, Boston Brewing Company, Kimco Realty, Sony, AccionSD, UT-San Diego, Stanley Morgan, and more. This event was in the works for over 1.5 years, from the launch of the http://www.SDEntrepreneurCenter.com, plugged into a coworking facility to expand it to more that coworking-shared office space, but an incubator and accelerator. Today, our database and entrepreneurial eco-system community has grown from starting with 42 to over 11,000 and counting each day, in about a year. Our goal in San Diego, is to be the largest Entrepreneurial Eco-system and membership network in San Diego county, and have Entrepreneur Day 2013 have over 10,000 in attendance in a 2-3 day event, as the “Comicon For Entrepreneurs”. A crucial part of this is that we created a fund from proceeds from our event(s) and work, the “Robin Hood Fund”, of which monies will be given to Entrepreneurs and Small Businesses, as investments or awards, as well as products and services through the San Diego Entrepreneur Center. As a result of Entrepreneur Day, last week we donated over $5,250 in cash, and gave away laptop computer to a small business owner who never had a laptop before. And we gave away gift cards, and there’s more coming from the Robin Hood Fund to support our movement. We are currently updating the San Diego Entrepreneur Center’s business model due to the success of Entrepreneur Day, and our growth with our following and movement in becoming the largest Entrepreneurial Eco-system and membership network in San Diego. 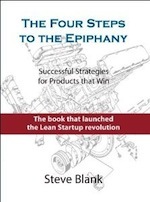 This is a great book review by Steve Blank reviewing the book that I waited for more than 9 months called “Startup Communities”. If you are too lazy to read the book, then at least read his short book review. 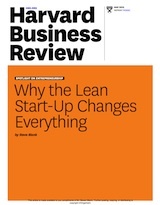 Great review and I do agree VCs do follow trends and market dynamics to service entrepreneurs. 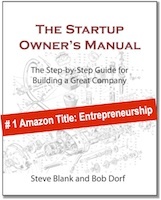 I’m eager to read this book as a practical guide to continue building the startup community in Malaysia. I agree with the quibble–venture capital/angel already exists in most regions, it just isn’t organized toward technology startups there. We have a ton of tech startups in Central PA, a ton of private capital, but very little of it flowing to tech startups. WOW — if i had known that living through the Silicon Valley heydays in the 80s and writing about it was so “novel” i might have written a book myself…i worked for the American Electornics Association 1982-86 ish and lived in SV from 1961 til 1990…met some incredible people and had a great time watching the Valley morph….education is the key!!! and Ed Zschau’s R&D tax credit did too!! WOW, what an inspiration to read your post!!! I really would love to read the book to cleary understand the principles / methodology. I an a true believer in the sharing of knowledge / information, mentoring, team work, colaboration across all areas – ( Business, Corporate, Community, Local, State and Federal Governnents). Knowledge, and the sharing of information are the foundation and building blocks for the overall greater good of today’s society to evolve, adapt, drive creativity and embrace change through the sharing of new ideas!!! Hopefully SydStart, Fishburners and some of our wider activities like Cooper & Co mentoring, PushStart, StartMate and more are really delivering on the promise Brad Feld and Steve Blank are describing in this post. the Lessons Learnt section is gold. Universities have so much to learn about this. My alma mater only contacts me when they want money. A prof in the b-school posted a request to LinkedIn for people to help critique his entrepreneurship students’ business plans. A ton of very smart people came out of the woodwork and offered lots of great feedback. I’ve never felt as connected to the school post-graduation. I wrote a note to the alumni office suggesting they publicize this to all the other departments. Free mentoring for your students, plus the opportunity for them to make networking contacts in advance of the inevitable job search. AND your alumni will feel engaged and perhaps be more inclined to write a check. What’s not to like? The single point of entrepreneurs leading and all the rest feeding is a great reminder. Thank you Steve, really a useful review. 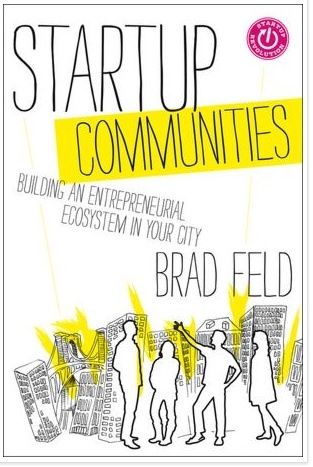 I was just wondering if the same considerations that Feld makes in his book apply to places outside the US, where the “US-startup-like entrepreneurial culture” is far from being given for granted. I am thinking about the Old Continent, as I live in Italy, and possibly of many regions in Asia. Entrepreneurship here in Europe is understood pretty in a much different way than in the US. Entrepreneurs often do not talk to each other, above all in provincial areas, because they are afraid of loosing business because of their talks or contacts. I am thinking of small-medium businesses that address local (not global) markets, and see their own contacts (with customers, problem solvers,… or local politicians…) as their real competitive advantage to be jelously protected from their neighbours. In these contexts, I think that the public sector can play a big role as a mindset innovator, trying to shift old-school “localised” entrepreneurs into the globalised world. Nothing would be born otherwise by waiting for them to spontanously “lead themselves”. Would be very interested to know your and Feld’s thoughts about this! PS: I speak out of experience as I have been a startupper in Trento, a provincial area of Italy, in the Alps, and now work here as a public officer – my job is “starting” the startup scene locally… and setting fire on a burnt land is not that easy, I can tell you – for sure I have the impression that it would not have started on its own. Hi Steve, long time fan…love your writings. In my small town this is happening but on a smaller scale. Small community colleges are starting to help entreprenuers with funding, giving them a place to work and so on. It’s really exciting to see the smaller hubs growing into mini-silicon valley type places all over!